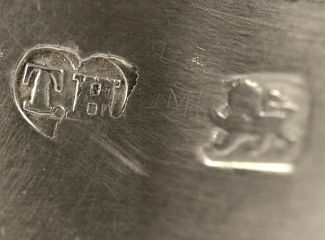 of plain helmet form, this shape was first developed in the mid-18th century. 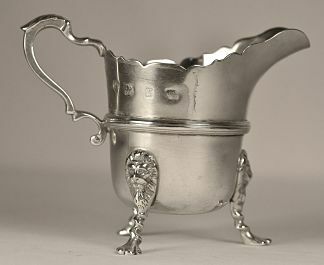 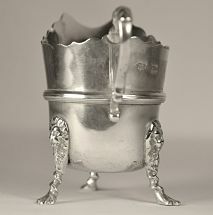 The jug has an elevated central band and shaped rim with scroll handle, the whole raised on three paw feet with lions head junctions. 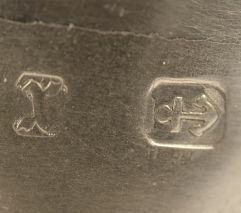 There is a full set of hallmarks on the upper body.